If you have managed to lose a significant amount of weight, you deserve to be thrilled with the end result. Whether you did it through diet and exercise or a surgical weight-loss procedure, you are to be congratulated on achieving your goal. If, however, you have made it to your target weight, but you are not happy due to excess skin, loose tissue, or issues with your physical proportions, then body contouring may be the answer. After a large weight loss, areas such as the upper arms, breasts, abdomen, buttocks, and thighs may be left with a saggy, deflated look. Weight loss often leaves behind excess skin that cannot shrink down to your new body shape. Skin elasticity is a function of age and heredity and is unlikely to change for the better as time goes on. As well, after supporting a large amount of fat for a long time, the underlying tissues may have become stretched and now lack tone. Finally, there may be stubborn fat deposits that have not shrunk in proportion with the rest of your weight loss, leaving you with an uneven look. Body contouring is designed to correct these issues so that you can fully enjoy the results of your weight-loss efforts. Body contouring is a combination of a number of procedures, all of which are designed to remove excess skin and fat and to tighten underlying tissue in order to give you a natural, toned look and a firm, well-proportioned body. Gives you toned arms by removing excess skin and tightening tissue. Makes sagging breasts more pert and youthful; sometimes breast implants are used to improve size and shape at the same time. Creates a nice, smooth, flat tummy by eliminating sagging skin and tightening slack abdominal muscles, as well as removing any stubborn fat deposits. Lifts a sagging, shapeless rear end and improves firmness be removing loose skin and possibly remodeling the fatty tissue through injections harvested from other parts of your body. Improves the shape of the upper legs by excising unwanted skin and tightening the underlying tissue. If a significant amount of weight has been lost in the face and neck, a facelift may also be recommended. Naturally, the types of procedure your surgeon recommends will depend on your unique desires and specific physique. Your surgeon will discuss what can or should be combined based on your goals, as well as a realistic assessment of your safety and recovery time. If necessary, your body contouring procedures may be staggered over separate operations. A recent patient at The Plastic Surgery Clinic achieved an incredible 145-pound weight loss success after working hard to make specific changes to her lifestyle. However, after spending 16 months committed to this goal and putting in all of the effort required for such an inspiring accomplishment, she found that the excess skin that remained once the weight was gone prevented her from fully realizing her total transformation. As is commonly the case with those who achieve significant weight loss, instead of being able to embrace their improved health and new body, they find that leftover loose skin interferes with the worry-free life that seemed to be within reach. The result can have a negative impact on their self-image, often creating roadblocks to maintaining their weight loss goals as they move forward. As opposed to body fat, excess skin will not respond to changes in diet and exercise. The only way that it can be adequately eliminated is through surgical restoration. The following images show our actual patient at the different stages of her weight loss endeavour: at her starting weight of 309 pounds; 16 months later following her 145-pound weight loss; and 6 weeks after her body contouring procedure to eliminate excess skin. Please click on the images to view them in greater detail. To learn more about her unique journey, read Dr. Lista’s blog post about her experience. At The Plastic Surgery Clinic we perform approximately 200 body contouring procedures each year. Because Dr. Lista, Dr. Ahmad and Dr. Austin are closely associated with the Smartshape Weight Loss Centre, which shares facilities and staff with The Plastic Surgery Clinic, they are highly experienced with the results of surgical weight-loss procedures. As a result of this close working relationship, the surgeons at The Plastic Surgery Clinic are some of the most experienced and innovative in Canada at performing body contouring after weight loss. They are frequently invited to lecture or write about the techniques they have pioneered. If you are considering this important surgery please explore the links on the left to learn more. If you have more questions about whether Body Contouring after Weight Loss in Toronto/Mississauga is for you, please contact us at info@theplasticsurgeryclinic.com to set up a complimentary consultation with Dr. Lista, Dr. Ahmad or Dr. Austin. The details of each body contouring operation depend entirely on the types of procedure that are being performed, although almost all of them combine the surgical removal of excess skin with strategic tightening of underlying tissue. In some cases, targeted liposuction may also be conducted. For details concerning each individual procedure, please refer to the Procedures menu. Wherever possible, scars will be strategically placed so as to hide them from view. Your body contouring after weight loss can be performed right on site in the state-of-the-art facilities of The Plastic Surgery Clinic. The Clinic meets or exceeds national, provincial, and municipal health care facility standards in such important areas as equipment quality and infection control. The best candidates for body contouring are individuals who have attained or are close to their weight-loss targets and have maintained them for enough time that they are confident that their weight is stable. Weight stability is very important. If much additional weight is lost after body contouring is performed, excess skin may become an issue again; and if a significant amount of weight is regained, the resulting stretching of the skin may widen scars or create unsightly stretch marks. Issues with proportions may also arise. Body contouring after weight loss typically has an immediate, long-lasting effect, provided patients maintain a healthy weight. Body contouring can have a positive effect on your self-esteem. Feeling better about your appearance can make you feel better about yourself. Studies show that this kind of surgery often improves quality of life. Before you decide to have surgery, think carefully about your expectations and discuss them with an experienced Toronto/Mississauga body contouring surgeon such as Dr. Lista, Dr. Ahmad or Dr. Austin. Dr. Lista, Dr. Ahmad and Dr. Austin are proud to have helped so many patients in Toronto and Mississauga finalize their weight-loss goals. You’re proud of how much weight you have lost but may be unhappy with loose skin. Body contouring after weight loss can amplify your new physique by giving it a youthful tautness and attractively proportioned shape. Dr. Lista, Dr. Ahmad or Dr. Austin will examine you to determine exactly what procedure or combination of procedures will best help you meet your goals. For body contouring, how best to address your particular needs will be carefully discussed. Your surgeon will work with you to recommend a combination of procedures that will help you come closest to achieving your desired results. Body contouring surgery is performed at The Plastic Surgery Clinic as a day surgery procedure. A friend or relative will need to come and pick you up and stay with you at home that evening. The recovery period for body contouring after weight loss will depend entirely on the procedures that are performed, although combining procedures should lead to a shorter recovery overall (versus having them done individually). Normally, any bandages placed over incisions will remain in place for a few days, and parts of the body may require an elastic (compression) bandage or garment to be worn for a few weeks to keep swelling under control. Generally patients are able to start showering the day after surgery. Bruising and swelling usually resolves after few weeks. Patients should refrain from any strenuous activity for at least six to eight weeks. Most scars will fade in approximately six months. 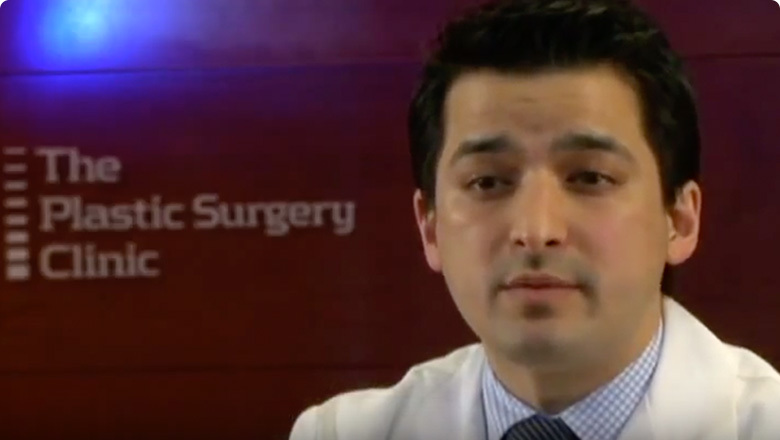 Dr. Lista, Dr. Ahmad and Dr. Austin perform 200 body contouring procedures each year. The results are ordinarily positive and complications are rare. Nevertheless, there are always risks associated with surgery, and there are specific complications associated with the procedures that may be performed during body contouring. Your surgeon will discuss these risks with you thoroughly during the consultation process. Most of the body contouring patients at the Plastic Surgery Clinic are very happy with their results. The procedures used result in an overall look that is toned, youthful, and natural. Combined with their weight loss, patients can finally feel they have reached the “finish line” and attained the body they wanted. They can move forward with self-confidence. Body contouring results are normally long-lasting, provided your target weight is maintained. During your free consultation, you will be able to look through a wide variety of photos that show the actual results of patients at The Plastic Surgery Clinic who have undergone body contouring after weight loss procedures. If you wish to see a small selection of patient photos, they are available in our body contouring photo gallery. For many people, thinking about the cost of body contouring after weight loss can be stressful. You’ve worked so hard for your results and, on top of buying a new wardrobe, there is the added cost of maximizing your figure through body contouring. We understand, but we want to help you reach your goal and feel as good about yourself as possible. This is why financing options are available to take the sting out of paying for surgery. Unfortunately body contouring surgery is not always covered by provincial or corporate health care and benefit plans, but if you make an appointment for a free consultation with one of our experienced plastic surgeons we would be happy to give you a detailed estimate of what your surgery will cost, and many other specifics of the procedure.